The number of people seeking a voluntary ban from the casino at Kangwon Land, the only South Korean gaming resort allowed to accept bets from locals, has risen by around a quarter in four years. That is according to a report in Korea Bizwire, citing official sources. The account quoted a person – that it didn’t identify – from what it termed the Kangwon Land Addiction Care Center, as saying such an increase showed the effectiveness of the venue’s harm mitigation and harm prevention measures. The news outlet said a total of 4,440 individuals sought such exclusion in 2016, compared to 3,484 in 2012. According to the report, such bans are currently set at three years in duration. Under the existing rules, a person would be able to make up to three requests for exclusion, after which they would be banned indefinitely from gambling at Kangwon Land. Upon acceptance of an application for a voluntary ban, participants are provided with up to KRW100,000 (approximately US$88) in cash for their journey home, according to the media account. Korea Bizwire additionally reported information about other Kangwon Land initiatives to alleviate the effects of problem gambling. They included gamblers voluntarily limiting the number of days per month they could access the casino. The number doing so stood at 3,646 last year, compared to just 25 in 2012 and 513 as recently as 2014. Under the programme, players are banned from Kangwon Land’s casino for a month if they enter the gambling facilities on more than 14 days a month for two consecutive months. Alternatively – according to the report – players can seek to join a more stringent trial programme; limiting the number of days of access from one to 14 days per month, but with the provison that for the duration of the voluntary measure, it cannot be lifted, nor the number of nominated access days be adjusted. For this scheme, incentives worth up to KRW500,000 are available to participants, according to the news outlet. Kangwon Land was cited as saying the pilot programme had 164 participants as of April 10. South Korea currently has 17 casinos – with an 18th due to open on April 20 – but the country’s nationals are only allowed to gamble at Kangwon Land casino resort in an upland area of Kangwon province – 150 kilometres (93 miles) from the capital Seoul. In 2017 Kangwon Land has seen casino sales fall to “2014 levels”, said a March note from banking group Morgan Stanley. 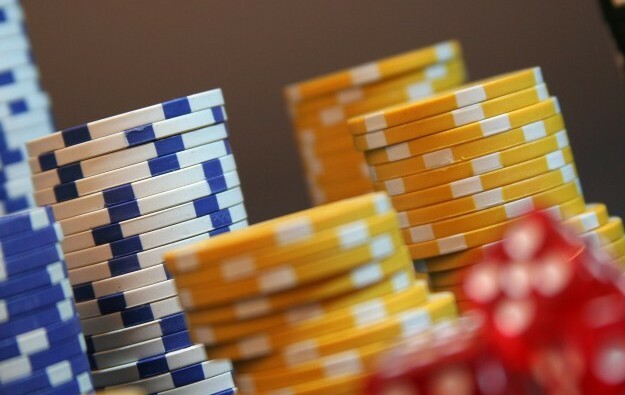 It added the recent internal political crisis in the country had had an effect on decision-making connected with the casino resort’s operator, Kangwon Land Inc, which is a public enterprise.